"The lines are a lot shorter here then other stores," He said, "it's less stressful than shopping at a franchise." 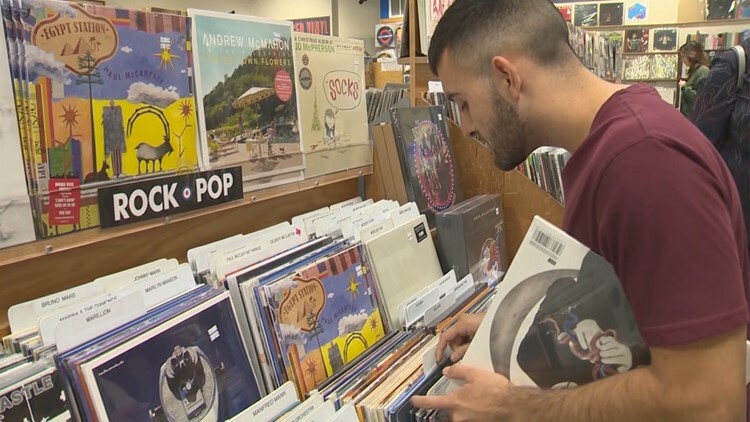 AUSTIN — When you think about Austin, art and music likely come to mind and what better way to avoid those long lines on Black Friday than to shop at one of Austin's oldest record stores. Waterloo Records has been open for more than 30 years. On Black Friday, 175 unreleased vinyl records were put on sale exclusively for independent stores like Waterloo. "I feel like music is one of the coolest gifts you can give to somebody," said Sebastian Garcia. "It's been a good part of my life." It's quite a different Black Friday shopping experience for Garcia, who is a frequent customer at the record store. "The lines are a lot shorter here then other stores," he said. "It's less stressful than shopping at a franchise." Garcia says shopping for vinyl records is a better alternative then being surrounded by chaos. "[At Waterloo} you can find a lot of cool things like vinyl records, post cards, CD's and stuff people would enjoy having for Christmas," he said. John Kunz, owner of Waterloo Records said customers like Garcia are what keep the place running. "Black Friday at big chain stores has gotten a little zoo like," Kunz said. "There's also violence with people being trampled with door busters, so it's a little more relaxed with an Austin feel here." "Buying records is what I've done in the past couple of years," Garcia said. 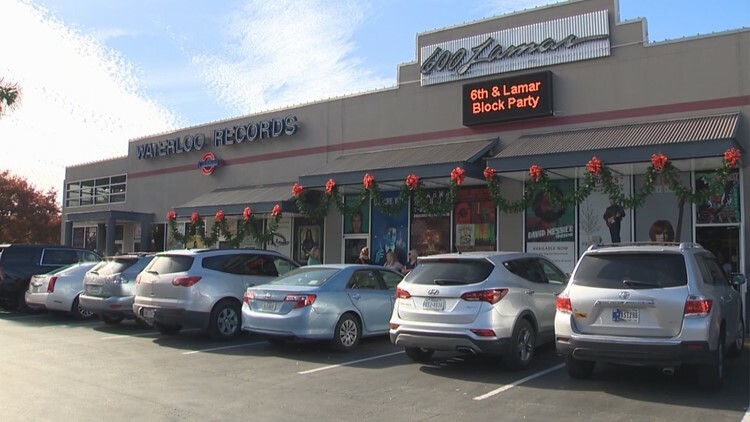 He said this is an alternative for a unique Christmas gift, giving business owners like Kunz the opportunity to help shape the music and arts scene in Austin. "I think more Austinites want Austin," Kunz said. "It's good to definitely pick up a CD or something, you could discover someone new," Garcia explained.